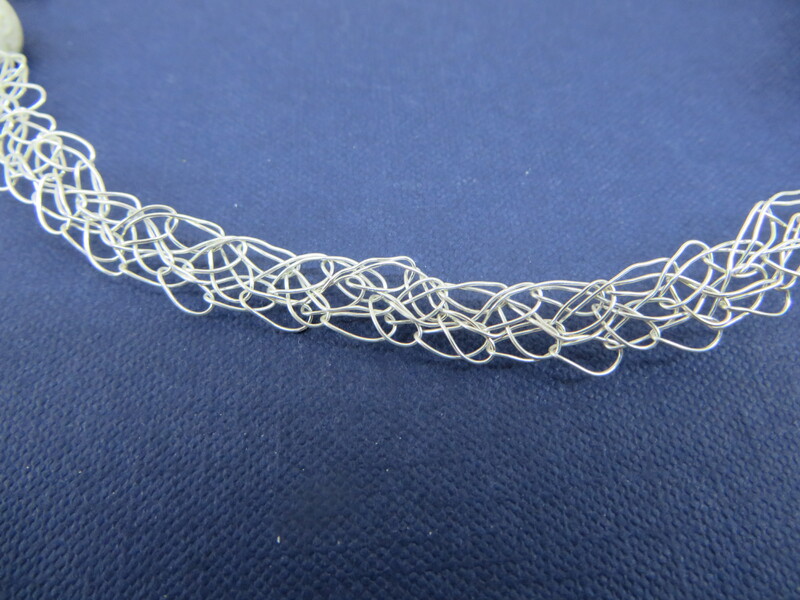 This 17 inch necklace has a 4 1/4 inch extension of silver plate chain and is constructed with multiple strands of non-tarnish 26 gauge silver wire. 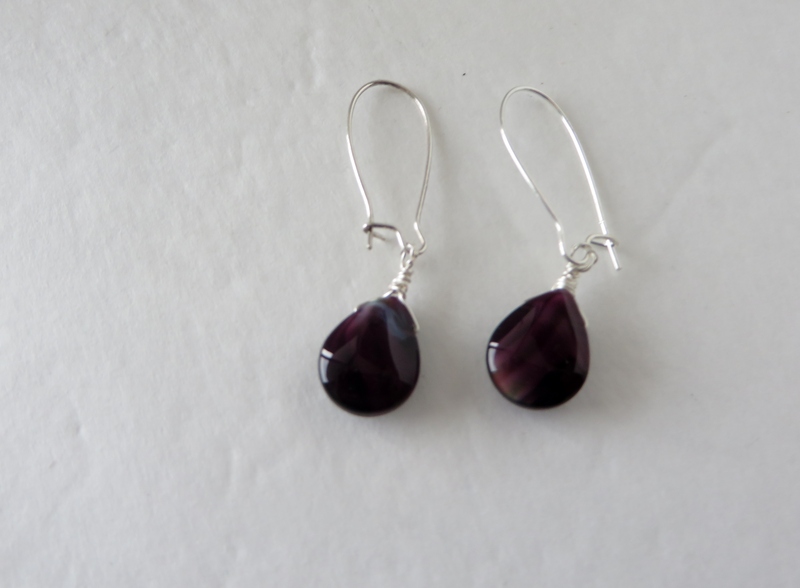 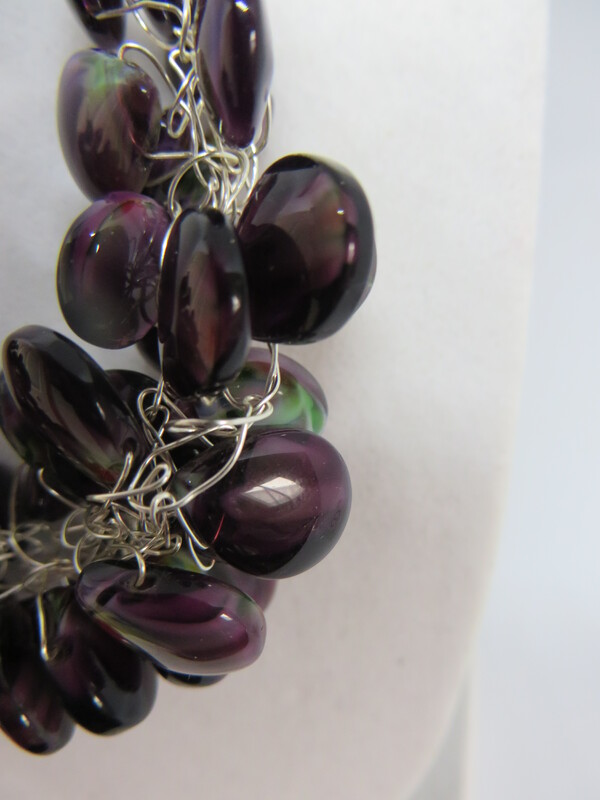 It is pure purple glass tear drop beads with a hint of green, red and pale purple. 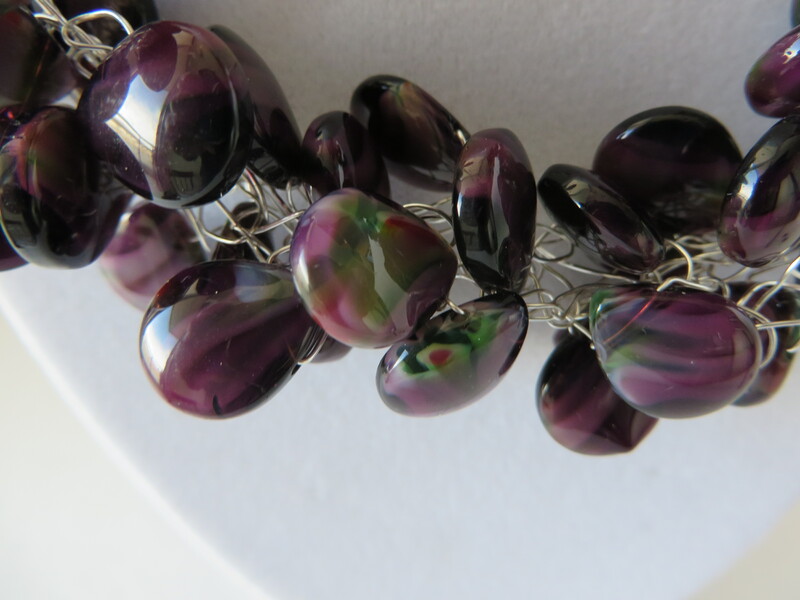 The necklace is finished with a lobster clasp. 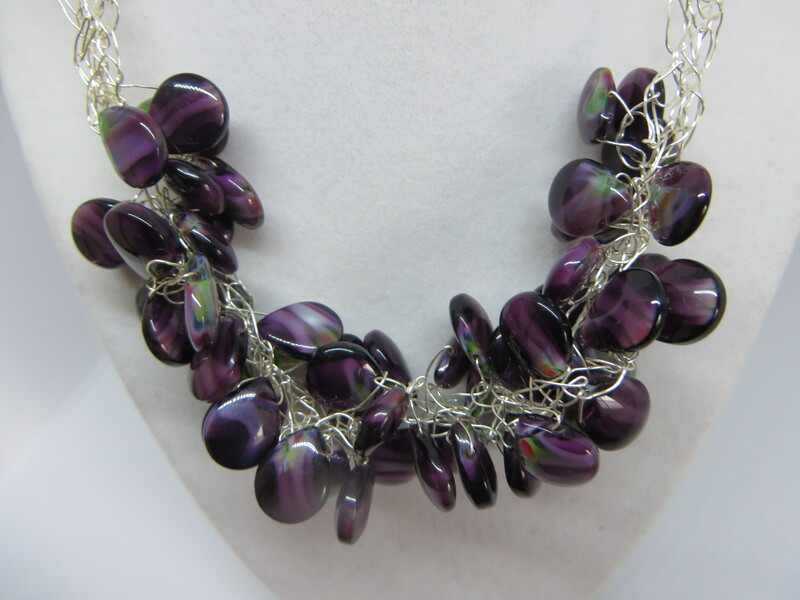 This would look great with a t-shirt and jeans or a dress for a more elegant look. 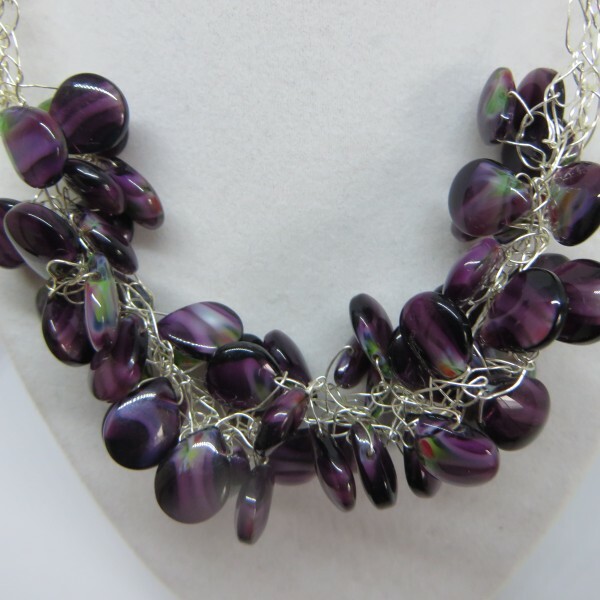 Be regal in purple!